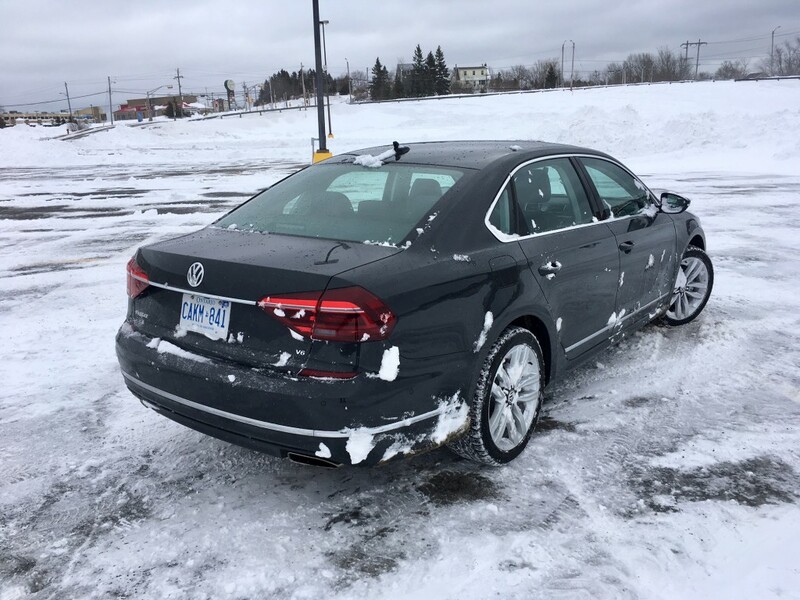 I need to apologize to Volkswagen Canada, who was kind enough to lend me their new Passat for a week, and to you, dear reader, as my review of Volkswagen’s largest sedan didn’t exactly go as planned. I always knew this piece would be a ‘quick drive’ review as the week I was scheduled to be in it was the same week I was to attend the Canadian International Auto Show in Toronto. Still, I was to spend three days with it before trekking off to Ontario – enough time to form an opinion of the big family sedan. Then, Mother Nature decided she had a grudge against the province of Nova Scotia. She decided to dump 60 cms of snow in Halifax which effectively shut the city down for two days. Suddenly, my three-day schedule with the Passat was cut down to one. While the Passat remains a handsome sedan, it’s refresh is likely only noticeable to die hard VW fans. My tester had optional LED headlights and tail lights, which helps to distinguish it from older Passats. It also featured a new wheel design and there are splashes of added trim. Otherwise, the overall conservative shape remains. Inside is still a cavernous place to be. A pleasant one too. While also conservative in design, everything is logically laid out. 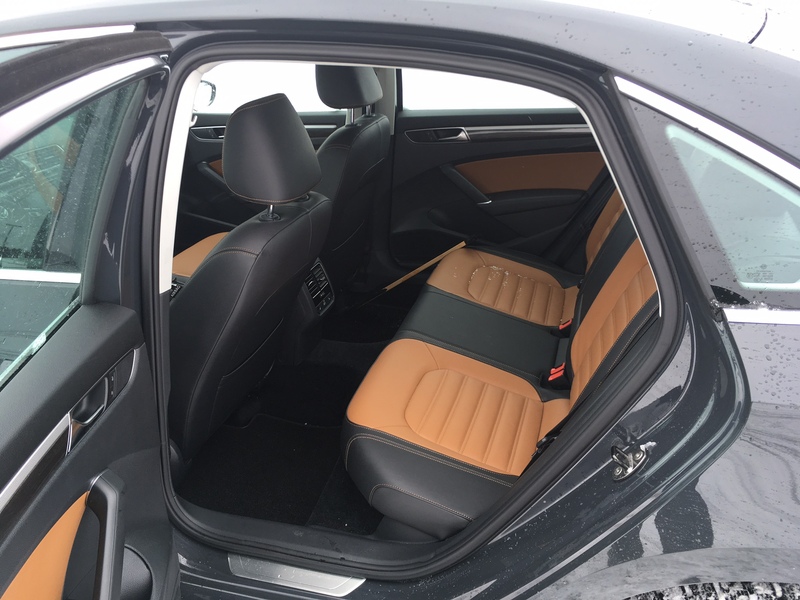 Trunk and head room is limo-like and seat comfort is decently supportive yet comfortable. As you’d expect from the highest trim Passat, quality is where it should be. My tester’s caramel coloured interior is stunning in person. 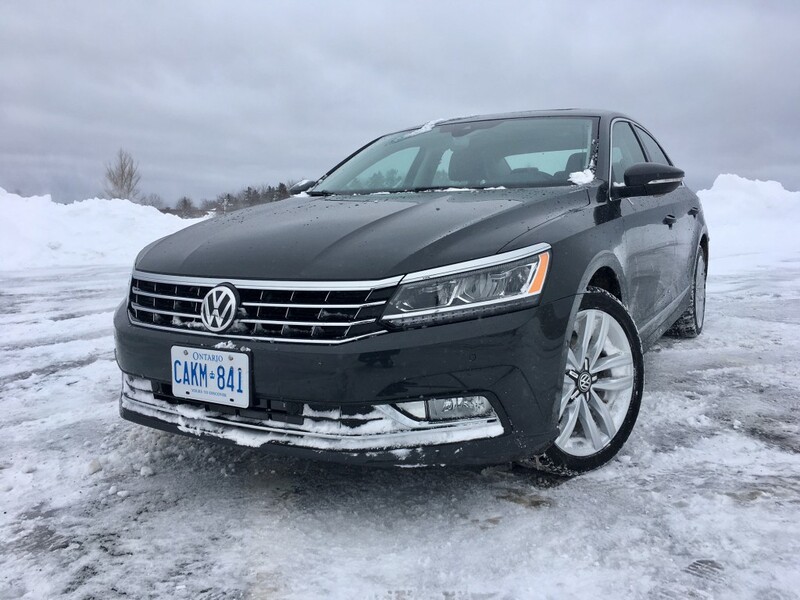 The V6 effectively turns the Passat into a sleeper. It’s 280 horsepower and 254 pound feet of torque is enough to spin the front wheels when you put your right foot down from a stop. Luckily, any wheel spin is handedly taken care of by the traction control and does not translate into torque steer. Speaking of steering, it is on the stupid side of numb feeling. It feels so disconnected that it’s difficult to believe you’re behind the wheel of a European car. Very disappointing. As mentioned, the Passat is a large vehicle and it feels it. That makes for big vehicle handling which makes it difficult to have fun in the bends. The quick shifting DSG sweetens the already tasty engine. And there you have it. 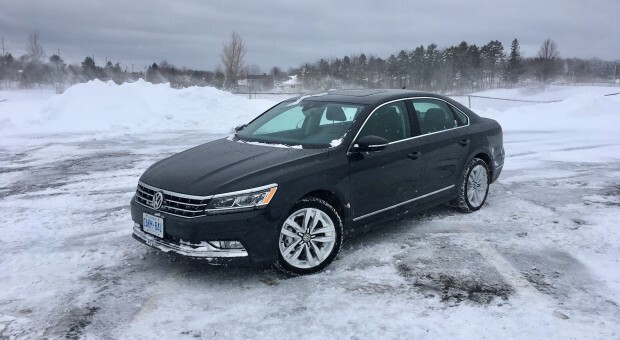 Overall, the Passat remains a strong contender, but its rivals are coming out with more exciting design, tech and performance. 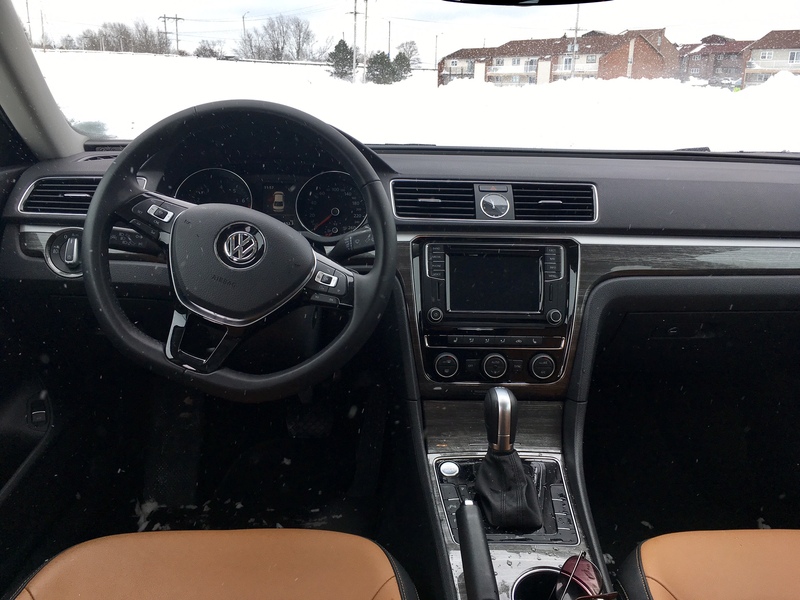 But if you’re looking for a discreet, fast, comfortable and luxurious transportation, in other words, more of a cruiser, the Passat seems to fit the bill nicely. Hopefully the stars will aligns more in my favour for the opportunity to get some proper seat time in the new Passat in the future.